A dodger for a yacht with lock-line roof on a stainless frame with link sheet and full cat-proof mesh enclosure. Sailing vision is important, as was winch clearance and entry into the cockpit from both the aft and sides. 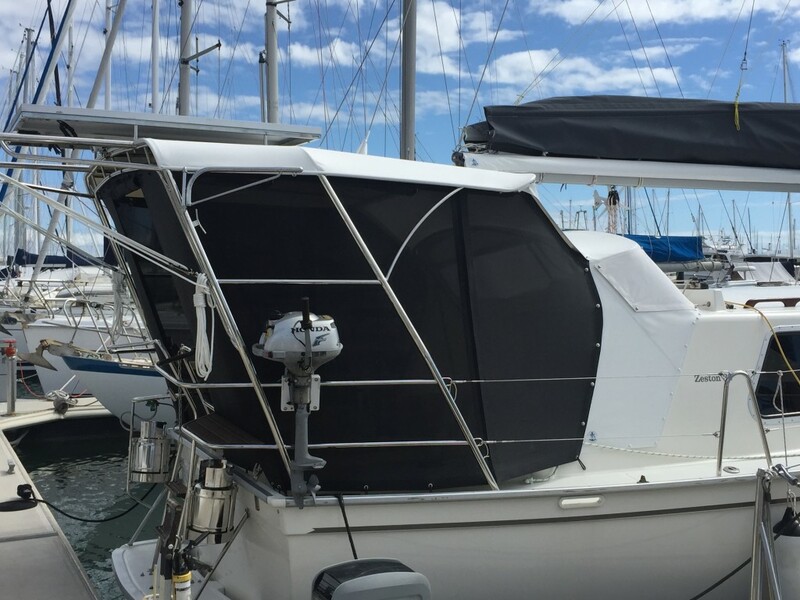 I decided upon a “hard top roof effect” bimini using lock-line to enhance and incorporate with the stainless work. The dodger needed to be redesigned around the instrument panel and traveller for the boom.